Looking at this page it is easy to see if there are any transfer requests that need to be processed. Clicking the blue “Pending” button next to a specific location will give you a list of the requests for that specific location. These requests can be viewed but nothing changed. How to process a transfer request. Click the black “X Stock Requests to Process” button. “X” donates the total of requests that need to be processed. This list serves three purposes. See what transfers are not yet accepted by the receiving location. Click the blue “pick now” button to process a transfer. 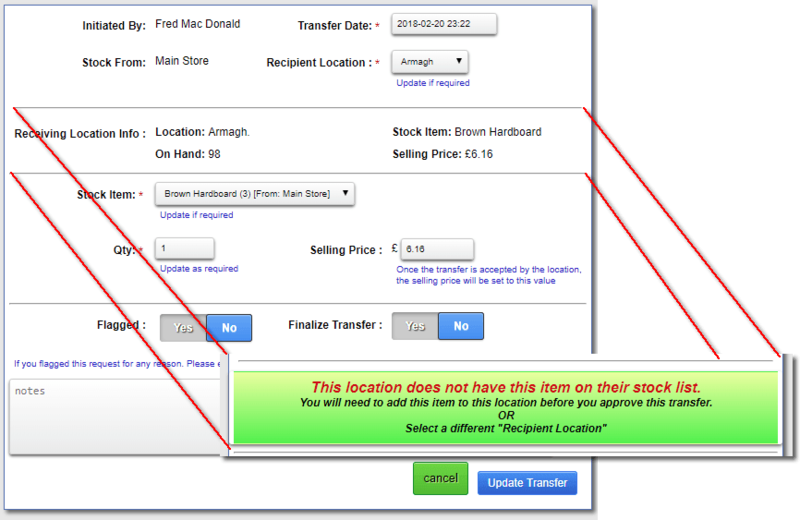 If the location does not have the stock item as part of their usual inventory, the green notice will be displayed instead. Current selling price at the source location. To update the price at the receiving location, update this value. Remember to take currency conversion into account. 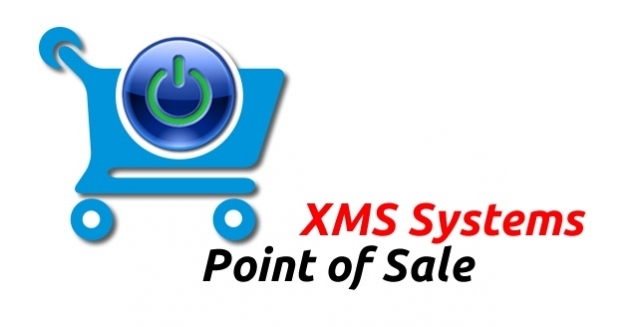 Clearing this field or leaving it empty will force the system to use the current selling price at the location. You will be shown a “Confirmation” pop-up telling you the stock levels of the “From” location will be adjusted with the quantity requested.